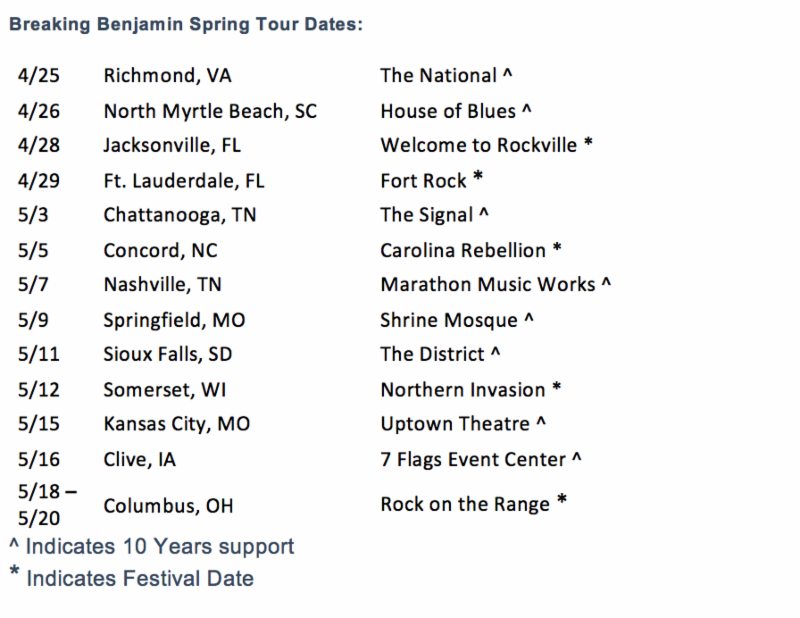 Hot off the heels of their national arena tour with Avenged Sevenfold, BREAKING BENJAMIN have announced their spring tour, with support from 10 YEARS, will kick off April 25 in Richmond, VA and wrap up from the main stage at one the year’s biggest rock festivals, Rock On The Range, at the end of May. The multi-platinum band will also perform at Welcome to Rockville (4/28), Fort Rock (4/29), Carolina Rebellion (5/5) and Northern Invasion (5/12). Pre-sale for the spring tour tickets and VIP packages will be available on March 13 at 10 AM local time, and public on-sale will begin March 16 at 10 AM local time. In addition, every pair of Breaking Benjamin tickets purchased online, comes with one (1) physical CD of Breaking Benjamin’s forthcoming album Ember. 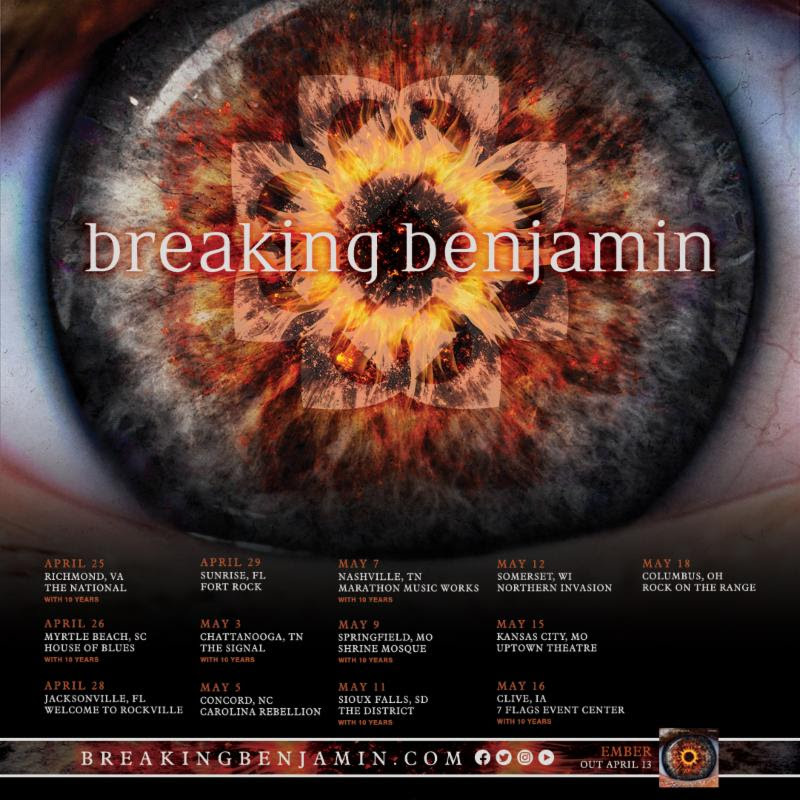 For more information on the ticket bundle, ticket purchase and tour information visit www.breakingbenjamin.com/tour. 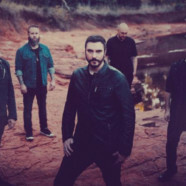 The self-produced Ember is the follow-up to Breaking Benjamin’s 2015 release Dark Before Dawn, which debuted at #1 on Billboard’s Top 200 and spun off three No. 1 rock radio tracks, “Failure” (2015’s most played Active Rock track), “Angels Fall,” and “Never Again.” The first single from Ember, “Red Cold River,” was released on January 5 and already has over 5.5MM streams and currently sits at #4 on Active Rock. The video, which has over 5MM views can be seen HERE.